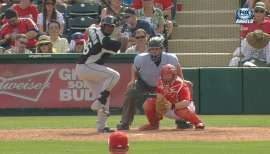 Julio Morban does not have any MLB stats for the season. April 1, 2016 Oklahoma City Dodgers released RF Julio Morban. December 10, 2015 Oklahoma City Dodgers claimed RF Julio Morban off waivers from Tacoma Rainiers. September 1, 2015 RF Julio Morban assigned to Tacoma Rainiers from Jackson Generals. August 1, 2015 Jackson Generals placed RF Julio Morban on the 7-day disabled list. July 4, 2015 Seattle Mariners sent Julio Morban outright to Jackson Generals. July 2, 2015 Seattle Mariners optioned RF Julio Morban to Jackson Generals. May 4, 2015 Julio Morban roster status changed by Seattle Mariners. April 18, 2015 RF Julio Morban assigned to Tacoma Rainiers from Jackson Generals. April 7, 2015 RF Julio Morban assigned to Jackson Generals from Tacoma Rainiers. March 15, 2015 Seattle Mariners optioned RF Julio Morban to Tacoma Rainiers. November 24, 2014 OF Julio Morban assigned to Gigantes del Cibao. 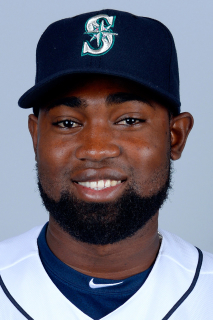 September 29, 2014 Seattle Mariners recalled Julio Morban from Tacoma Rainiers. July 27, 2014 RF Julio Morban assigned to Tacoma Rainiers from Jackson Generals. June 19, 2014 Jackson Generals activated RF Julio Morban from the 7-day disabled list. June 11, 2014 Jackson Generals placed LF Julio Morban on the 7-day disabled list. March 5, 2014 Seattle Mariners optioned LF Julio Morban to Jackson Generals. September 30, 2013 Seattle Mariners recalled Julio Morban from Jackson Generals. September 18, 2013 Julio Morban roster status changed by Jackson Generals. August 21, 2013 Jackson Generals placed LF Julio Morban on the 7-day disabled list. Fractured right fibula. 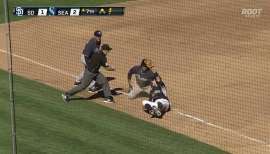 March 15, 2013 Seattle Mariners optioned LF Julio Morban to Jackson Generals. November 20, 2012 Seattle Mariners selected the contract of Julio Morban from High Desert Mavericks. September 9, 2012 Julio Morban roster status changed by High Desert Mavericks. August 29, 2012 High Desert Mavericks placed OF Julio Morban on the 7-day disabled list. July 6, 2012 High Desert Mavericks activated OF Julio Morban from the 7-day disabled list. June 20, 2012 sent OF Julio Morban on a rehab assignment to AZL Mariners. June 12, 2012 High Desert Mavericks placed OF Julio Morban on the 7-day disabled list. May 8, 2012 High Desert Mavericks activated OF Julio Morban from the 7-day disabled list. April 24, 2012 High Desert Mavericks placed OF Julio Morban on the 7-day disabled list. April 4, 2012 OF Julio Morban assigned to High Desert Mavericks from Clinton LumberKings. January 10, 2012 OF Julio Morban assigned to Gigantes del Cibao. July 24, 2011 Julio Morban roster status changed by Clinton LumberKings. June 27, 2011 Clinton LumberKings placed OF Julio Morban on the 7-day disabled list. June 15, 2011 Clinton LumberKings activated OF Julio Morban from the 7-day disabled list. June 1, 2011 Clinton LumberKings placed OF Julio Morban on the 7-day disabled list. May 20, 2011 Clinton LumberKings activated OF Julio Morban from the 7-day disabled list. May 10, 2011 Clinton LumberKings placed OF Julio Morban on the 7-day disabled list. April 5, 2011 OF Julio Morban assigned to Clinton LumberKings from Everett AquaSox. August 27, 2010 Julio Morban assigned to Everett AquaSox from High Desert Mavericks. August 22, 2010 Julio Morban assigned to High Desert Mavericks from AZL Mariners. July 5, 2010 Julio Morban assigned to AZL Mariners from Pulaski Mariners. 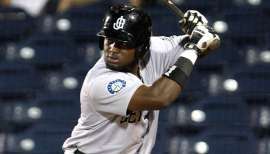 June 22, 2010 Julio Morban assigned to Pulaski Mariners from AZL Mariners. June 29, 2009 DH Julio Morban assigned to AZL Mariners from Pulaski Mariners. June 23, 2009 Julio Morban assigned to Pulaski Mariners from Seattle Mariners. June 21, 2009 Seattle Mariners signed Julio Morban.